In the show, you have witches, sisterhood and you have a world that is way more interesting than real life. Born in 1997, Charmed first episode was released when I was two. Honestly, I didn’t know this show existed until Netflixs decided to bless me with this gift one day. It all started with Coach Dale, my physics teacher in high school. He was the type of teacher that didn’t care what you did as long as you turned in your assignment at the end of class. Each class we would get to pick a show to put on. Mainly because it helped him “close his eyes”. Somehow out of the thousands of movies on Netflixs, my class of millenials decided Charmed would be interesting to watch. The 1st episode played and I instantly knew things have changed. I binged watched 8 seasons (22 episodes each) for pretty much all of my junior year. There was not another show I ever wanted to watch. I made it like a routine. I’d watch one to three episodes right when I got home as a “study break” and then I would drag myself to my room to finish my homework. After dinner, I was right back on that couch till about 2AM. I was so into the movie that I sometimes had dreams about the next episode. Therefore, when I heard the new remake of Charmed was coming out I had mixed feelings. As did most people. How could someone remake such a great show? Was it going to be better? 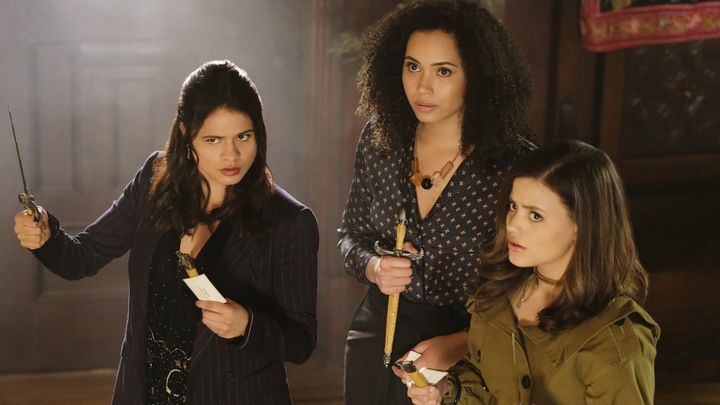 Are they going to completely ruin Charmed? Questions that everyone was dying to know. Even the non supporters of the new remake were throwing their money at the director to see it. Not literally, of course. As of right now, the new Charmed has about 6 episodes. Enough episodes to make a small semi-accurate analysis on the similarities and differences between the two. To start off, the new Charmed added a big twist on the character Mel; who was compared to the character Piper. Piper possessed a more introverted and shy personality compared to the outspoken personality of Mel. They also added that Mel was a lesbian. An additional incorporation that would generally be more acceptable in today’s society then it was decades ago. I commend the director’s choice of adding this into the show. It will definitely attract more viewers and supporters. The two characters also had different views on becoming a witch. Piper was more reluctant and Mel was all for it. In similarities, they both possess the same powers. Maggie is the youngest sister of the Charmed Ones. She has recently entered college as a freshmen. The character portrays what typical young girls look forward to their first year of college. Rush Week! Too bad her powers are making her seem abnormal to the rest of the Greek sisters. Although Maggie’s more sociable skills are similar to the original character Phoebe, she doesn’t have the same powers as Phoebe. The only character to not have the same powers. Maggie has the ability to hear people’s thoughts while the original character, Phoebe, could see into the future. Macy, the oldest of the three had the power of Telekinesis. The same power the old character Pure acquired. Macy is a scientist. She recently found out that Maggie and Mel are her half-sisters. She always grew up alone and based most of her decisions on logic. She has a habit of pushing people that care about her away, so that she could decrease the chances of her getting hurt. We also find out that she could potential have some darkness in her. 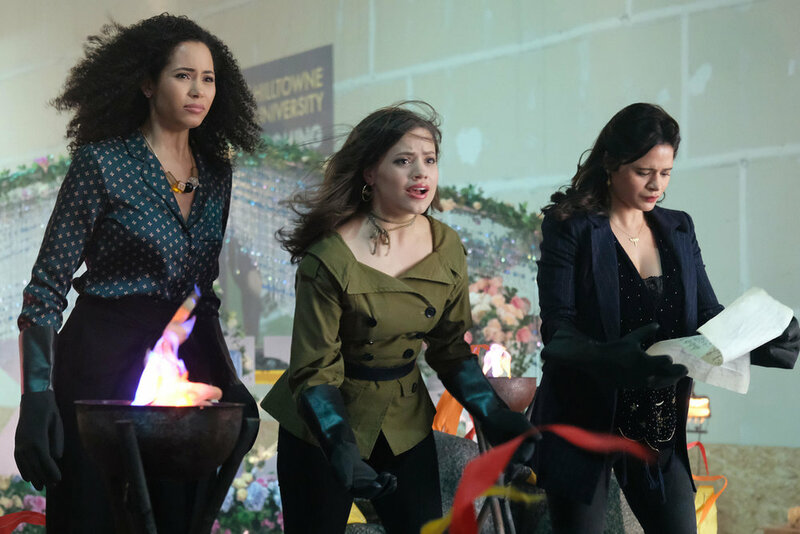 The characteristics of “The Charmed Ones” in the new show plays a huge part of how each episode will differ from the original. A statement that most of you would have already figured out. The remake takes a more relatable turn than the original show. It is a little too early to tell whether the show will be a hit, but I believe if Twilight had some hype so can this remake. I have high hopes for this show so far. Stay tuned for the adventures of The Charmed Ones and give me your opinion.